The automatic booster systems consist of a JET water pump, a pressure tank, an airtight pressure switch, a pressure gauge and a connecting flexible pipe. make the pump automatic more convenient to use. The pressure tank, equipped with a non-toxic rubber membrane, has been pre-filled with air pressure of approx 0.12 MPa before leaving the factory. These systems give suitable mains water pressure as required by modern domestic applications and industrial applications, and will ensure enough water to supply all user outlets. 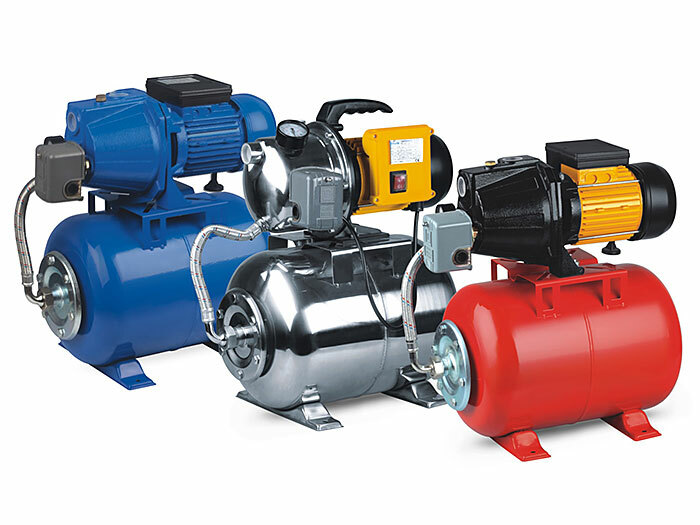 Most of the pumps included in our range of products can actually be used to form automatic booster systems.